Kathleen O'Brien won employment at the National Film Unit during a brief period in the late 1940s, when the unit gave women a chance to take the directing reins. Over the next 20 years she made over a dozen films for the government filmmaking organisation. It would take roughly that amount of time before the NFU opened its door again to other women directors. The youngest of six children of Irish parents, (Margaret) Kathleen O'Brien grew up in Wellington. A keen ballet dancer, she later taught dancing from a studio in Cuba Street, and produced shows for Wellington theatres (she was well-qualified to direct ballet film Our Stars of Ballet). In a 1959 interview for The Weekly News, O'Brien recalled how the ballet job gave her experience working with children and irate mothers. "Most of the films I have made have involved people or children. I am interested in them because, I suppose, I have always made my living in jobs that involved getting along with people and entertaining them." 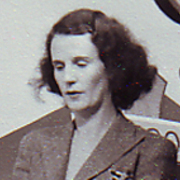 In the 30s, O'Brien spent time in the United Kingdom, including time as a hostess at a luxury hotel in Scotland. In 1940, after experiencing the first stages of the blitz in London, she returned home to care for her dying parents. Soon after O'Brien began writing and presenting a radio show aimed at so-called 'bachelor girls'. Public radio and filmmaking were both housed under the Tourist and Publicity Department, and in 1946 O'Brien got a job at the recently formed National Film Unit, as a librarian in the sound department. After a year she began assisting filmmakers. Her first film as director was an instructional film on food handling for the Health Department. she also directed this 1947 short, which goes behind the scenes at the film unit. Further health films followed, then a series of road safety shorts aimed at children. One of them, 1952's Monkey Tale, proved an international success, and was translated into four languages. The film used a troupe of performing chimps to demonstrate cycling do's and don'ts. The idea for incorporating the monkeys into a road safety film was most likely O'Brien's; according to the Weekly News, she first witnessed them riding cycles in a variety show which was visiting Wellington. The monkeys were so quick to learn new tricks, they became the stars of the film. O'Brien's rise was a matter of extremely lucky timing, as well as talent. Before quitting in 1950, Scott's predecessor Stanhope Andrews had given a number of women production roles, including another pioneering Kiwi female Margaret Thomson (who already had directing experience). Thomson and three other female staff members soon left, to continue their screen careers in the United Kingdom. In Reframing Women, her history of New Zealand women filmmakers, author Deborah Shepard argues that as longtime NFU boss, Geoffrey Scott was reluctant to allow women into production; as one of the reasons Scott often cited the case of a male director on location who got involved with a female production assistant. Though O'Brien worked on a number of tourist films (Taupō Moana), children and education were more common themes in her work. Amongst her CV is adventurous correspondence school film A Letter to the Teacher (1957). According to a contemporary newspaper account, the film's making left O'Brien stranded at a lighthouse "for four days without a toothbrush and wearing only the clothes she stood up in". Deborah Shepard argues that "O'Brien and Ramai Hayward expanded the scope of the educational documentary with their inventive approach to children's subjects". Arguably O'Brien's strongest film was The Story of Seven-Hundred Polish Children (1967), made for television a few years before she retired. It used archival footage and moving modern day interviews to examine the past and present of Polish orphans, who fled to New Zealand as refugees after an epic exodus during WWII. From 1950 until 1970 O'Brien was the only woman director at the film unit, and one of the few in the country. Pioneering filmmaker Margaret Thomson left the Unit in 1949, missing the filmmaking camaraderie and after work discussions she had experienced back in England. By contrast, Deborah Shepard points out that at one point the unit had separate tea rooms for each gender, and remained "an entrenched male bastion" throughout O'Brien's career. "Starved of opportunities for informal discussions with her male colleagues and ostracised because of her director status amongst the women, she remained an outsider in the women's tea room too." In the 1970s female NFU employees began to win more chances to move into directing, among them editor Catherine Isaac and longtime sound woman Diane Twiss. As for Kathleen O'Brien, she died in 1978. Her grave in Wellington's Karori cemetery makes no mention of her role in New Zealand's film history.